2019 CyCon US Call for Papers: NOW OPEN! CyCon US seeks technical, legal, political, and military positions and research related to Defending Forward. The Department of Defense’s (DoD) 2018 Cyber Strategy identifies the need for active preparedness in cyberspace by “defending forward.” Defined as disrupting or halting malicious cyber activity at its source, and degrading said activity before it can reach its intended victim. This preemptive strategy advocates defending resources, from military operations to financial institutions, in both the public and private sectors. Critical infrastructure and sectors of the economy that are considered vital to the nation’s economic prosperity are consistently scrutinized and exploited by several well-known cyber tools and techniques. The Defending Forward strategy features a unique change from the previous strategies - the private sector is encompassed within the strategy as an ally, pivotal to defending the nation’s networks. how government, military, academic and commercial organizations can build and maintain resiliency in their networks after an exploit. CyCon US is a leading conference on cyber conflict. It provides a venue for fresh ideas, relevant and actionable content, insight into future trends, and access to industry, government, and military leaders, cyber innovators, and pioneers in the discipline. The conference promotes multidisciplinary cyber initiatives and furthers research and cooperation on cyber threats and opportunities. 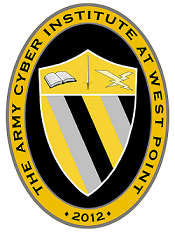 CyCon US is a collaborative effort between the Army Cyber Institute (ACI) at the U.S. Military Academy at West Point and the NATO Cooperative Cyber Defence Centre of Excellence. CyCon US complements the outstanding NATO CyCon Conference held every spring in Estonia. Authors are asked to submit original and unpublished work through the CVENT paper submission tool. If the paper is accepted for publication in the CyCon US conference proceedings, an author must attend to present the research. The CyCon US conference proceedings will be compiled into a special edition of the CDR published on the journal's website and distributed through JSTOR (JSTOR is the world's premier digital library with a wide range of scholarly content). JSTOR will include the special edition of the CDR as part of its Security Studies collection distributed through a technologically advanced platform reaching 8,000 research institutions and libraries in 160 countries. All papers submitted to CyCon US must meet CDR Formatting Guidelines. Submit the Work(s) in Microsoft Word. Include author's (and co-authors) by-lines, email addresses and a brief bio of nomore than 150 words for each author. Include all necessary pictures and graphics in the desired layout. Use of any graphics must comply with copyright provisions. Articles should be 3,000 to 7,000 words and include an abstract not to exceed 200 words. We look forward to your CyCon US papers and thank you for joining the cyber conversation!